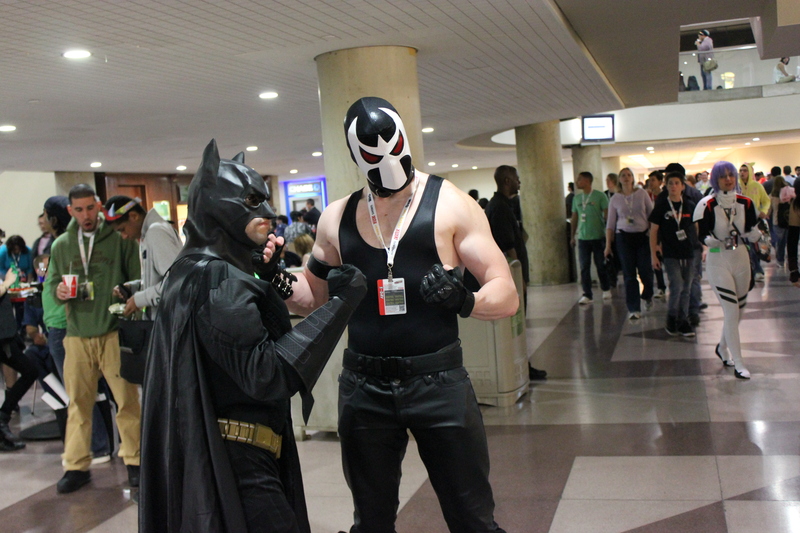 Ah, as the bruises and soreness of NYCC fade away (no really, it’s insane), I am left with fond memories. ^_^ First of all the epic costumes!!! 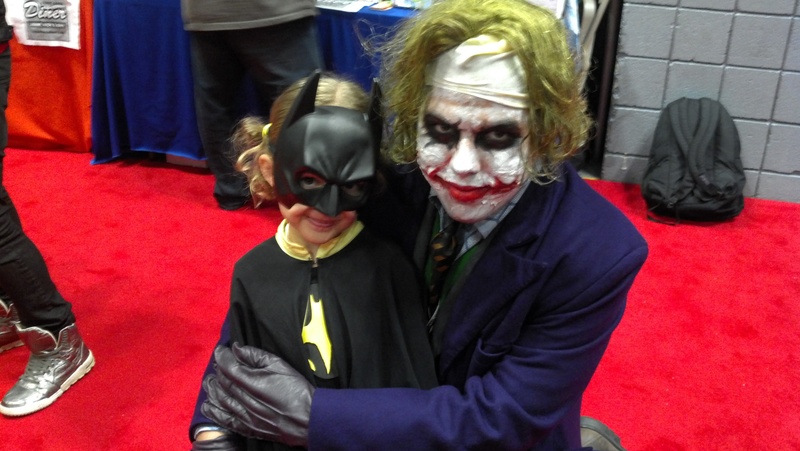 My little kiddo as Batgirl with Joker. The whole Bat-Family! 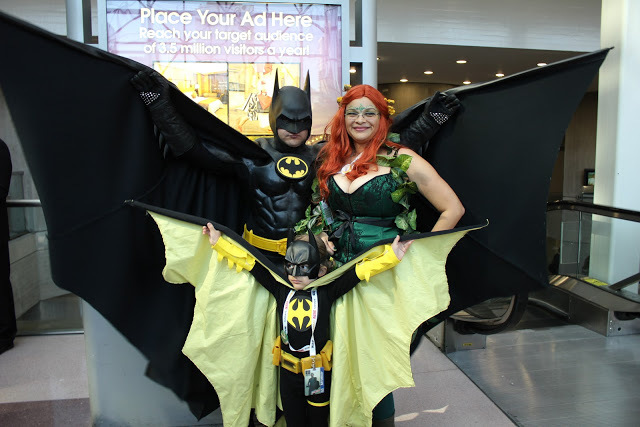 The hubbz as Michael Keaton Batman, the kiddo as Batgirl, and me as Poison Ivy. Basically I was wearing a booby bucket with some vines on it. XD I made a lot of men (and possibly some women) happy that day. That Saturday we didn’t get back till 9pm then I had to work on Sunday, then my road test on Monday so you can see why it took me so freaking long to get these up so you could see them. Me! 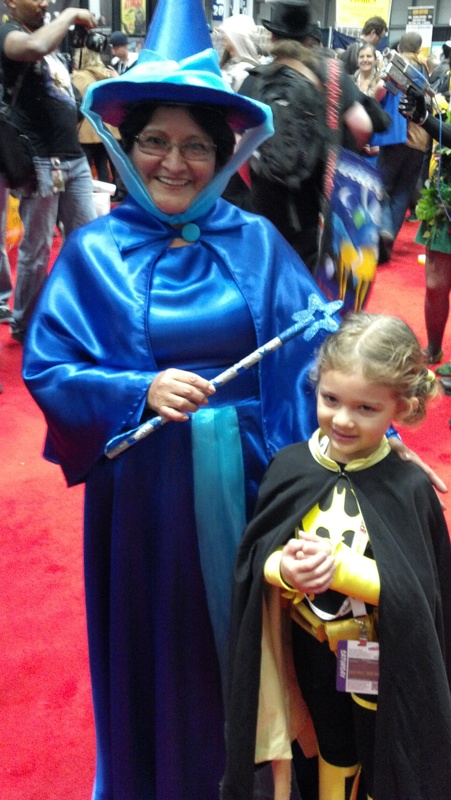 Also, I want to see bigger pictures of your costume! You should have that framed as your family portrait. XD So awesome!